It’s almost Mardi Gras time! 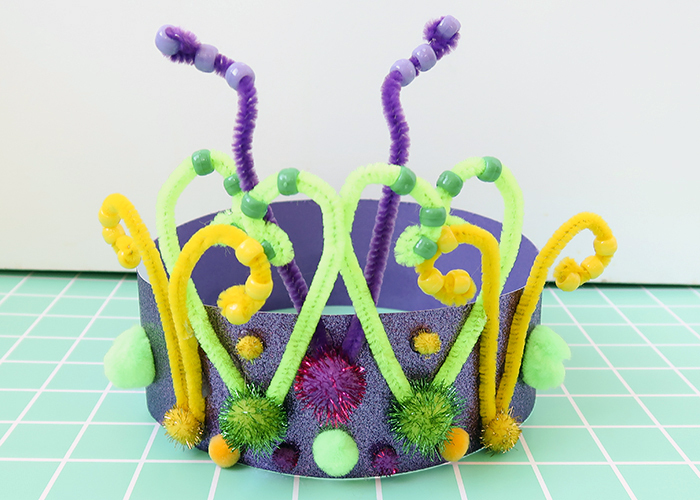 Today I’m going to show you how to make this Mardi Gras Headpiece Craft, just in time for your Mardi Gras party! Here’s what you’ll need to make it. 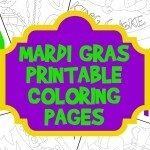 NOTE: I used traditional purple, green, and gold Mardi Gras colors, but you can use whatever you’d like! 12×12 paper, both regular and glitter. Let’s start by prepping our decorations! 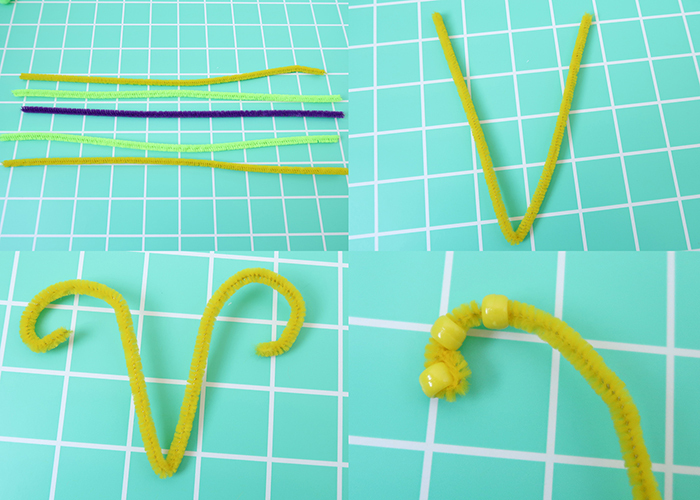 Take your two yellow pipe cleaners, and bend each one into a V shape, then curl the ends outward. 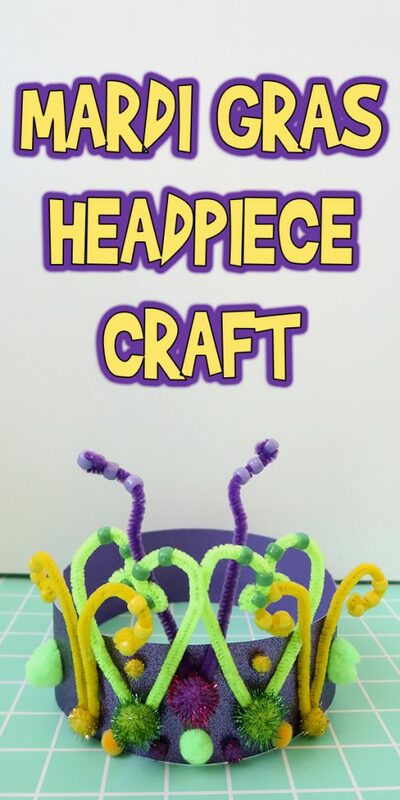 Slip 3 beads onto each end, and bend the end of the pipe cleaner around the last bead. 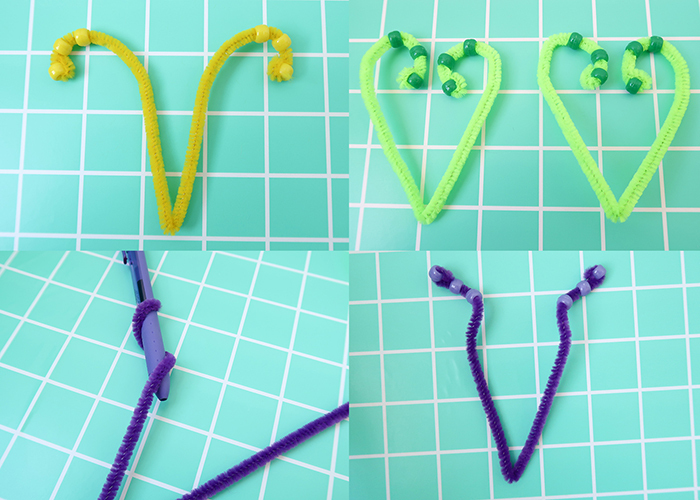 For your two green pipe cleaners, bend them into a V shape again, but curl the ends inward almost like a heart. 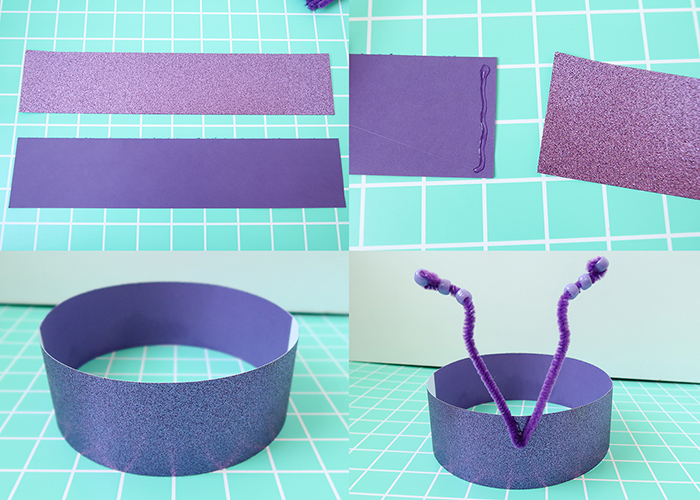 For your center purple pipe cleaner, bend it in a V shape and use a pen to curl the ends and then add your beads. 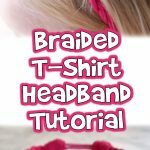 Don’t forget to wrap the ends of the pipe cleaner around your last bead so they stay on! To make your head band, cut one 2 inch strip off your 12 inch glitter paper, and one 2 inch strip off your plain paper. Glue the ends together, with the glitter overlapping the plain paper. 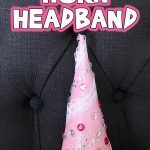 Make sure it fits your head! Then take your center pipe cleaner decoration and glue it on the front. 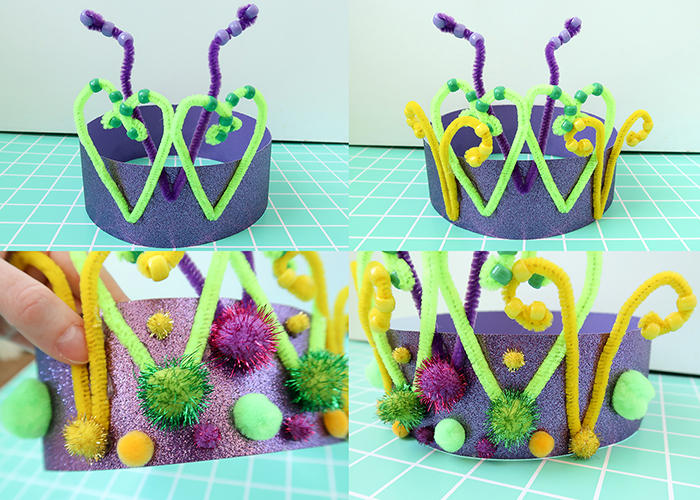 Now add the green pipe cleaners, overlapping the purple and slightly lower. 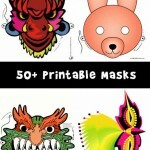 Then add your yellow ones, even lower and overlapping the green ones. 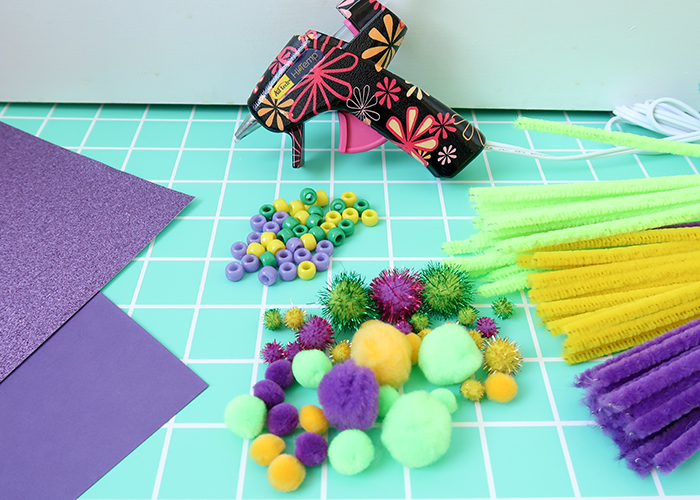 Next, glue on pom poms to cover the base of your pipe cleaners, and then add extra pom poms wherever you’d like! You’re all done! 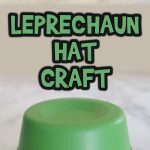 I hope you enjoyed learning how to make this Mardi Gras Headpiece Craft with me! 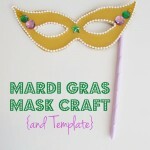 And if you’re looking for an easy to make Mardi Gras mask, check out my Mardi Gras Mask Craft!